Close your eyes and think back. Back to a time when the Cleveland Cavaliers were the laughing stock of the NBA. 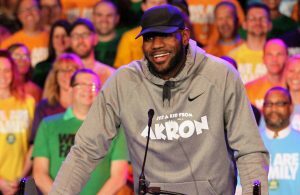 Back to a time when the notion of LeBron James coming back to Cleveland made fans and analysts alike laugh and shake their heads at the foolishness. Back to, uh, last season. 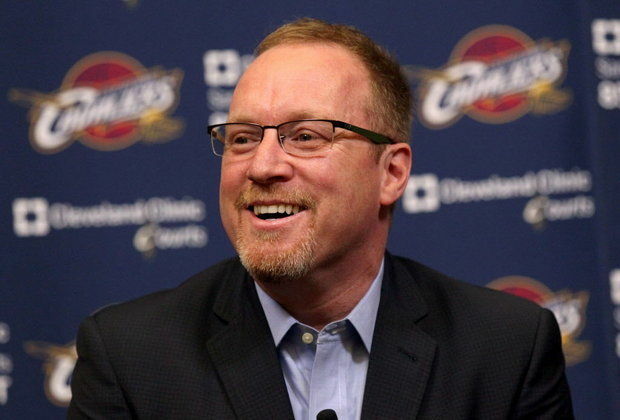 David Griffin took over the role of Cleveland’s general manager in February of 2014 with no guarantees that he would even have the job past the end of the season. 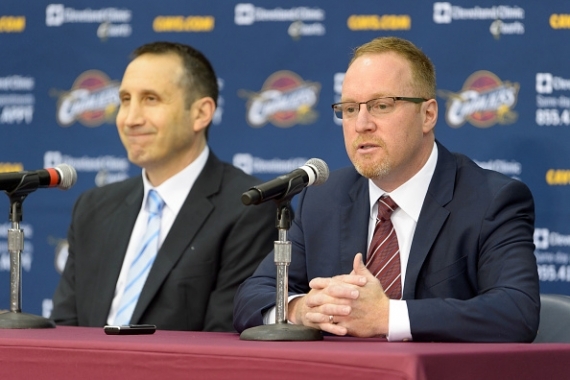 After the Cavs fired Chris Grant on February 6, Griffin was the team’s “acting general manager,” which is essentially the same thing as being named an interim head coach. “We’ll see how it goes,” was basically the message that the team sent to Griffin and now over a year into the experiment, it’s going pretty damn well. The obvious transaction that everyone is quick to note is the signing of James, the most vaunted free-agent the NBA has ever seen. While it was an incredible move for a first-year GM to pull off, the James signing actually had more to do with LeBron and Dan Gilbert than it did with Griffin. James had long dreamed of returning to Cleveland but wasn’t sure about making the move until the organization showed it was serious about changing the losing culture that had encapsulated the franchise since he left in the summer of 2010. Once the team was headed in the right direction, James had a conversation with Gilbert to smooth over their relationship, which had been nothing short of volatile in recent years. So while Griffin was the GM who was in the office when the deal got done, James returning to Cleveland really didn’t say much about Griffin’s abilities to be the club’s head decision maker. I mean, who wouldn’t sign the world’s greatest player to a contract, it was a no-brainer. Anyone can make easy decisions like that — where the Cavs truly struggled in the past was in making the difficult decisions, in finding ways to improve the team that others were looking past. They had missed on multiple high draft picks, had failed to bring any talent in through free agency and were beginning to develop a losing mentality from top to bottom. Griffin knew he had plenty of work to do even after obtaining LeBron, and worked to acquire non-guaranteed contracts that would work as movable assets in trade scenarios. Even before signing James, Griffin did a plethora of work to ensure the team would have the necessary cap space to take on a maximum salary contract. Griffin made trades involving the Boston Celtics, Brooklyn Nets, Utah Jazz and Charlotte Bobcats. 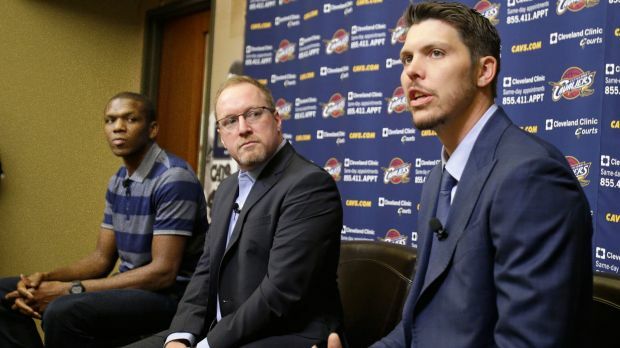 Of the players acquired in these moves, only Brendan Haywood remains on the Cavaliers roster. After moving assets around to create as much cap space as possible, Griffin set his sights on filling out his roster and building a complete team. He signed Mike Miller and James Jones, both of whom bring a critical veteran presence to this young Cavaliers team, and both of whom left money on the table elsewhere to sign with the Cavs. Next, Griffin took a leap of faith and went all-in for an NBA title, shipping number one pick and future star Andrew Wiggins to Minnesota along with Anthony Bennett for Kevin Love. It was a bold move with no guarantee that the trade would take the Cavs to a championship, but Griffin recognized that when you have the best player in the world in the middle of his prime, you can’t afford to wait for a player to reach his full potential. It’s still far too early to grade the trade, but thus far it seems to be a positive move for both teams. Wiggins is bound grow into a bonafide star in this league, but Love will be an intergal part of the Cavaliers success going forward. 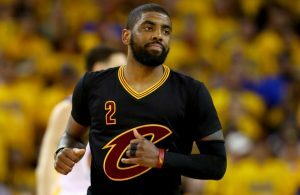 So before the season even began, Griffin was able to add James and Love to a roster that already included a young superstar in Kyrie Irving. But as it turned out, these moves were just a preview for what Griffin had up his sleeve. Griffin stole another free-agent veteran for less than market value when he brought Shawn Marion aboard in September. It was all coming together in Cleveland, a new “Big Three” and an even stronger supporting cast than James had in Miami. But as is usually the case in Cleveland, the honeymoon phase was short lived and the Cavaliers struggled throughout the first half of the season and into January. Griffin had already rolled the dice on early success in year one, and he engineered what may go down as the best move of this league year. Cleveland’s biggest struggles were on the defensive end, most notably protecting the rim and preventing easy baskets. 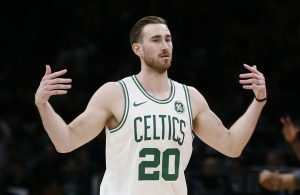 Griffin identified that this was a key weakness even before Anderson Varejao went down with a torn Achilles, but the injury to the “Wild Thing” accelerated the timetable on making a move to acquire an interior presence. While it took place in two separate transactions, Griffin was somehow able to parlay Dion Waiters, draft picks and the throw-in contracts of Lou Amundson and Alex Kirk into J.R. Smith, Iman Shumpert and Timofey Mozgov. Shumpert and Smith came over from the New York Knicks and Mozgov from the Denver Nuggets, immediately giving the Cavs the defensive help they so desperately needed. Mozgov gave the team the rim protector that they needed so sorely, while Shumpert would have a great impact on the team’s perimeter defense when he got healthy. But Smith? The shoe-untying, sour-attitude having, bad shot taking J.R. Smith? Why on earth would Griffin agree to take on a guy like that, especially with his salary cap hit? As time would tell, Griffin once again knew what he was doing and Smith has integrated seamlessly to the Cavaliers lineup. Not satisfied with being just a role player, Smith worked his way into the starting lineup and has become perhaps the most important player on the Cavs roster not named James, Love or Irving. In addition to filling the hole left behind by Waiters’ departure, Smith has been a welcome presence in the Cavs locker room. Smith has shown incredible energy in his time with the Cavaliers, playing hard on defense and knocking down three-pointers at a rate that nobody could have anticipated. Coach David Blatt even went so far as to call Smith “a godsend” for this team. And that brings me to my last point about Griffin, and it goes beyond just acquiring players — Griffin sees value in places where other people tend to overlook it. There’s a moneyball-esque feel to many of the transactions that Griffin has been able to pull off, making value out of something most would look at as worthless, such as the expiring contract of Scotty Hopson. Griffin went off the beaten path to find Blatt, a coach with no experience in the NBA or even in the USA for that matter. He wasn’t concerned by those facts and he didn’t shy away from hiring the former Russian national team head coach. When Blatt accepted the job, he had no idea that he would have so much pressure on him to win from day one. LeBron hadn’t come back yet and there was no Love, no “Big 3” to speak of. There was just a team plagued by dysfunction and bad habits, and that’s the challenge that Blatt signed up for. The bottom line is that Griffin was rolling the dice again with an unknown commodity, but he knew that the Cavs coaching carousel had to come to a halt. This guy needed to be the guy. And much like the season as a whole, the leap of faith didn’t pay immediate dividends. By the second month of the season, there were rumors that the Blatt experiment was failing and that the Cavaliers were already searching for a new head coach yet again. Griffin handled that situation like a true professional as well, coming out in the media and openly backing his head coach. It’s a gesture that is easy to overlook, but when a team is struggling on the floor it makes a huge difference to have the front office backing the team and especially the head coach. It didn’t take long for Griffin to start pulling strings and making moves to give his guy a winning roster. Once the Cavs acquired the big man they were lacking, Blatt quickly adjusted to his new lineup and found a rotation that has the Cavs poised to challenge for an NBA championship. Just another tally in the ‘W’ column for Griffin, who seems to always know the right button to push to turn things around. He’s like the anti-Chris Grant. There are still questions to be answered, like whether Griffin will be able to retain Tristan Thompson and what he will do with Varejao’s 9.64M cap number. But while the work is far from done, there is nobody in the NBA who deserves to win Executive of the Year more than David Griffin. For a reminder, just think back to where the Cavs were at this time last year, lottery bound. Now that very same team is a legitimate championship contender just 10 months after making the first pick in the draft. Who can create a more compelling case than that?